I love flowers. In fact, it was my love affair with flowers that inspired me to get my degree in horticulture. I figured that life is too short to not do what you love, so working as a horticulturist allows me to be around blooming plants throughout much of the year. 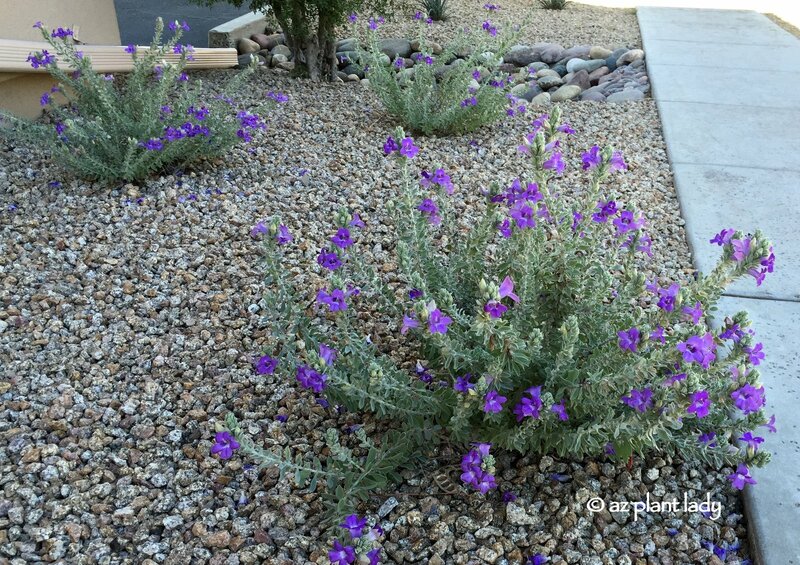 As the weather begins to cool, blossoms begin to lessen, but one of the many benefits of living in the Southwest is that there are always some plants showing off their flowers. Today, I’d like to share with you just a few of the flowering plants that I saw during the past couple of weeks, which are decorating the fall landscape. Pink Fairy Duster (Calliandra eriophylla) flowers in spring and fall, is extremely drought tolerant, thrives in full sun and is hardy to 10 degrees F.
Creeping Indigo Bush (Dalea greggii) is a groundcover, which flowers in spring and fall, is drought tolerant, thrives in full sun and is hardy to 10 degrees F.
The Cascalote tree (Caesalpinia cacalaco) flowers in fall and on into early winter, is drought tolerant, thrives in full sun and is hardy to 20 degrees F. While thorny, there is a new variety with a smooth trunk, called ‘Smoothie’. 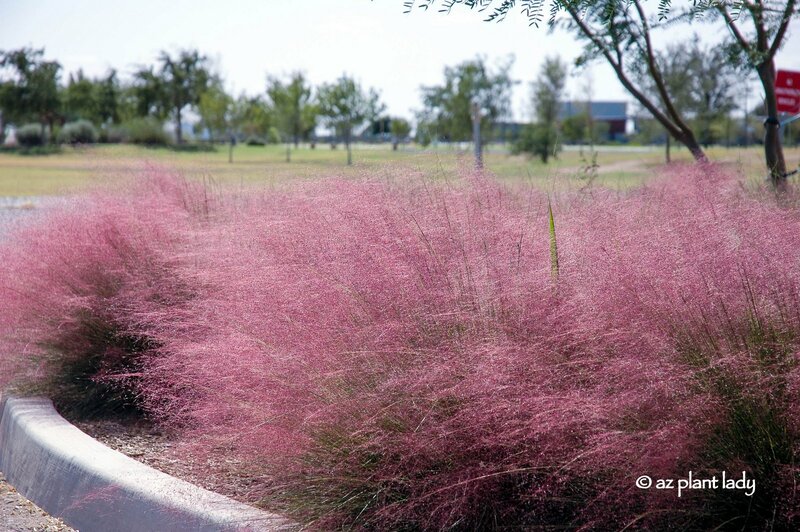 Pink Muhly (Muhlenbergia capillaris) is an ornamental grass that flowers in fall, is drought tolerant, thrives in full sun to filtered shade and is hardy to 0 degrees F.
Blue Bells (Eremophila hygrophana) flowers all year long, is drought tolerant, thrives in full sun to filtered shade and is hardy to 17 degrees F.
These are but a few plants that are still in bloom in November in my zone 9 climate. How about you? What is blooming in your garden or neighborhood? Old, Overgrown Plants: Time to Start Over? Where in the world did you get a Cascalote smoothie tree? As hard as I have tried, I cannot find one. I live in CA now, which makes shipping even harder because of state laws. Also, there are discrepancies as to when it flowers. I bet you know! Where in the world did you get a Cascalote smoothie tree? As hard as I have tried, I cannot find one. I live in CA now, which makes shipping even harder because of state laws. Also, there are discrepancies as to when it flowers. You mentioned late fall, others say spring.